With the New Year just a few weeks away, your dealership is likely already well on its way to finalizing your 2019 business strategy. And to have a successful year overall, you need to hit the ground running in January. As dealers know, the first quarter of each year is a big quarter for auto sales. At the same time, the beginning of the year is a busy period when it comes to applicants considering new roles. Below, we’ve outlined what each of these annual trends means for your dealership and how you can prepare. Several factors contribute to the first quarter of the year being a busy time at your dealership. One is that tax season fuels consumers’ desire to spend more in the early part of the year. Additionally, auto manufacturers launch their new models at this time to take advantage of the busy sales cycle. Beyond an increase in car sales, dealers – specifically in the North – see a spike in repair services as winter weather wears down cars, requiring continued maintenance. To keep up with this busy season, your dealership need quality staff who can offer a top-notch customer experience on both the sales and service side of the business. For each day your dealership has an open sales role, you can lose up to $800 in gross profitability and this number jumps to $1,200 for open service roles. If your dealership isn’t already staffed up, the good news is that December and January are also high-volume months for job applicants. Businesses across industries see an increase in job applicants throughout December and January, as employees start setting personal and professional goals for the coming year. 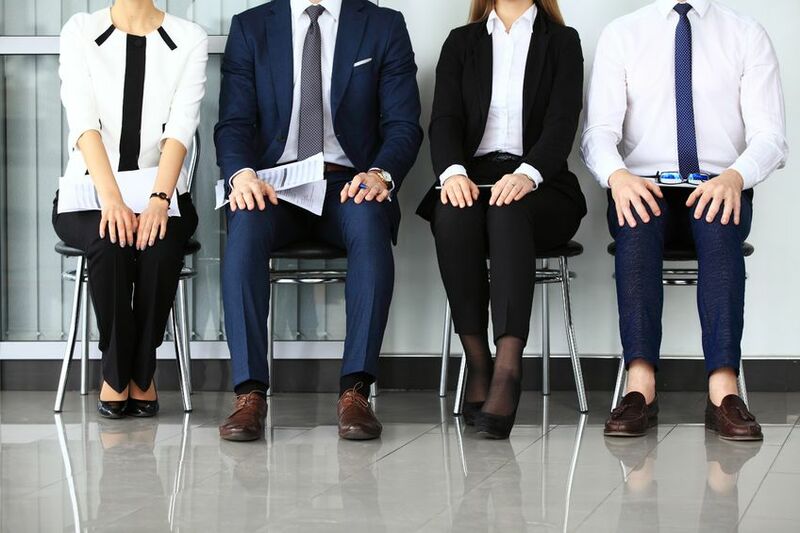 Despite the general trend toward talent seeking new job opportunities as the New Year approaches, this doesn’t mean it will be easy to fill open roles at your dealership. The unemployment rate is at a record-low – and continues to decrease – meaning top talent can be highly selective when it comes to weighing career moves. On top of this, fewer than 1% of job seekers are interested in dealership careers, posing an added challenge for your dealership to attract quality candidates. As job seekers get increasingly selective about researching and accepting new positions, your dealership needs to sell quality talent on the opportunity working for your team presents. This goes above and beyond simply salary, as top talent today is looking for far more than an exchange of time for money and you need a compelling answer to the “What’s in it for me?” question. This can be made possible through a strong employment brand. Your employment brand can help your team stand out from other employers and attract top candidates in today’s competitive job market. And building your best team will ultimately lead to increased efficiency, productivity and revenue – especially during busy sales and service cycles. To get job seekers excited about the possibility of joining your team, develop a strong employment brand that encourages job seekers to build long-term careers at your dealership. Your employment brand should include strong, SEO-friendly job descriptions, a compelling career site, defined career paths across departments, employee testimonials, a comprehensive list of benefits and continuous job openings. By building and maintaining a strong employment brand, you can attract engaged applicants who are interested in growing their careers with your dealership. Beyond posting all open roles on your career site, the competitive job market means your HR team and hiring managers likely spend a significant amount of time and resources trying to fill open roles. In many cases, this includes posting to costly job boards in hopes of attracting a high volume of applicants when you have an immediate opening. But these one-off job boards eat up your recruitment budget, take time and resources to manage and can cause your team to miss out on quality candidates who aren’t finding your open roles. To be more efficient when it comes to your hiring, consider enlisting the help of an automated recruitment marketing tool to manage the entire process for you. Hireology’s solution, Applicant Engine, automatically taps into a network of 500+ applicant channels – including national job boards, organic search engine feeds, local classifieds, social media and other niche sources – to attract quality candidates from proven sources. In addition to saving time and money, an automated recruitment tool can help your dealership attract more quality job applicants for open roles across departments. When you invest in one-off job boards and don’t have a process to only focus your budget on sourcing channels that drive quality candidates, your team might end up spending time and resources on poor applicants. But by partnering with a solution like Applicant Engine, you can shift to only spending budget on sources that drive quality applicants and eventual hires. In today’s applicant-driven economy, job applicants are in the driver’s seat when it comes to jobs. This means your dealership needs to treat recruitment similar to consumer marketing by creating a simple, engaging candidate experience. Think about your current process for job applicants. Up to 60% of job seekers drop out of the job application process because the process is too lengthy or complex. For example, some businesses require applicants to upload their resume and also fill in dozens of individual fields with the same information as the resume. As an added step, applicants might have to scroll through length legal language before finally submitting an application. If this sounds like your dealership’s job application process, you’re likely driving top talent away. You wouldn’t make your customer lead form too lengthy – as you know doing so would lead to lost business – and you should take the same approach with job applications. Simply requiring contact information, a resume and potentially a cover letter (depending on the position) is enough for your team to initiate the hiring process – and a simple, user-friendly application form will help you secure more quality candidates. Recent Hireology data found that the average dealership waits 10 days – or even longer – to simply review and respond to applicants. If your business did the same with customer leads, you’d likely lose business to competitors who respond quickly – and the same goes for responding to job applicants. In today’s competitive job market, top talent goes off the market quickly, so there’s no time to waste. By reducing the time to review applicants, your team will have a better chance of securing quality candidates and you’ll fill roles quickly, helping you keep up with the busy sales and service period. Beyond reviewing and responding to applicants in a timely manner, make an effort to keep candidates engaged each step of the way during the hiring process. Candidate engagement will help ensure job seekers stay excited about joining your dealership, even if they’re already employed or considering other potential opportunities. To keep candidates engaged, outline each step of the hiring process so candidates know what to expect and when – and don’t leave candidates hanging between hiring steps. And consider implementing technology to make the hiring process easier on candidates, such as text messaging to streamline interview scheduling or automated reference and background checks.